When the real estate market gets hot, or even when it’s steady the only downfall is the amount of people that want to be an agent. When your local dry cleaners is now selling condos in your area it could be frustrating, however there’s no need to worry as long as you know how to stand out. Here are 3 tips we recommend for standing out! Being a jack of all trades comes in handy, but not when you are a master of none. New real estate agents won’t have deep experience in a niche and commonly grasp at any piece of knowledge they can. The “generalist” experience and lack of expertise is your opportunity to shine.This is why it’s more important than ever to focus your career development on mastering a sub-sector of your market.For example:A particular zip code or neighborhood.A specific type of property like beach rentals or mountain cottages.A specific type of client like investors or military families. Use the unique abilities such as a different language or an interesting background to your advantage and build your report with those markets. It’s important to observe what other agents are doing, but a common mistake is people focusing on their competition and not what they are doing to grow their own business. Offer training events or workshops, plug in with networking groups to see what works for you. Connecting with people in a meaningful way is important and that also gives you the best shot at repeat business as well as referrals. Do these things consistently and soon enough you will build your reputation and others won’t be able to compete. The biggest difference between a professional and an amateur in any industry is their knowledge of and use of the best tools for the job. Real pro’s know what tool to use and how to use it while amateurs have no clue what to do as they’re still trying to “figure it all out”.Here’s how to leverage the internet:1) Get an elite website. Having your own domain name and email separates you from “newbie” agents who are still contacting their clients with their “aol” email, “lol”. (Consider that every agent gets a site from your broker and there’s nothing like standing out like having the same site as every agent in your office)2) Use Video. If a picture is worth a thousand words how much is a 5 minute video walk through of your latest listing on YouTube worth?3) Integrate social media. Use your blog as the source of quality useful information and share your posts on social media. This will establish your BRAND, further separating you from your newbie competitors. I cannot stress how important this last one is… in fact if you leverage the internet right, out of anything else you will be successful. It’s a pain to do it all yourself and hiring people can be pricy, but if you do not invest in your own business people will not invest the trust in you to sell your home. Doing research and finding out what new technology comes out assist you in your business is key. 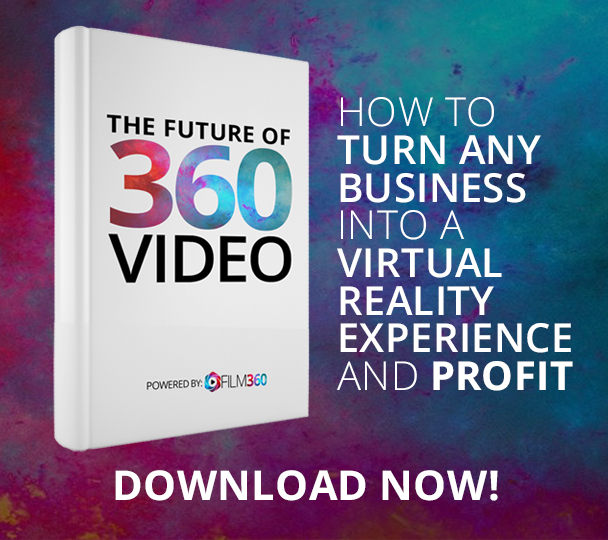 One example is 360/VR technology, new developments are allowing companies like Film 360 Co to be able to take a listing and make it an immersive experience. It feels like you are there and it’s impressive at first site. A few hours a week of research will allow you to have that knowledge and inform your potential clients on why you should be their agent!